Dr. Kimmie L. Weeks is an internationally acclaimed humanitarian who has worked to alleviate poverty and human suffering in Africa and around the world for over twenty years. Kimmie was born in Liberia 1981. When he was nine, Kimmie came face to face with civil war, human suffering, and death. Dr. Kimmie Weeks is an internationally acclaimed humanitarian who has worked to alleviate poverty and human suffering in Africa and around the world for over twenty years. Kimmie was born in Liberia 1981. When he was nine, Kimmie came face to face with civil war, human suffering, and death. Over the years, Kimmie has formed partnerships and led organizations that have provided education to thousands of students in West Africa, lobbied the disarmament of over 20,000 child soldiers, and provided health care and education supplies working in some of the most challenging environments. In 1998, Kimmie Weeks investigated and released a groundbreaking report on the Liberian government’s involvement in the training children as soldiers. As a result, the Liberian government made several attempts to assassinate Kimmie Weeks and with help from international governments left Liberia and was granted political asylum in the United States. Once he came to the United States, Dr. 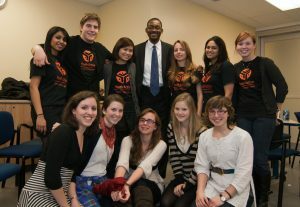 Weeks established an International organization called Youth Action International to support the needs of families living in post war countries. Youth Action International’s programs have benefited more than 200,000 people in six post war African countries by providing vocational training, rebuilding education systems, providing micro-lending, and encouraging young people to invest in agriculture. 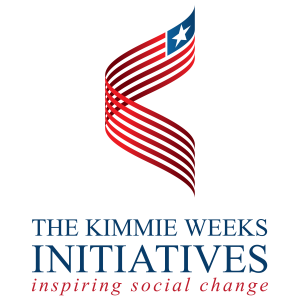 Kimmie Weeks is the recipient of the 2007 Golden Brick Award which honors young people under 25 years old who are working to change the world. Also in 2007, Liberian President Ellen Johnson Sirleaf presented Kimmie with Liberia’s highest honor by decorating him Knight Grand Commander in the Humane Order of African Redemption. Kimmie is the youngest recipient of this honor. He is also featured in the new book Peace in Our Lifetime as an international peacemaker, along with Nelson Mandela, Gandhi, and Martin Luther King, Jr. In 2008, MTV Canada and Discovery Chanel International profiled Kimmie’s work as part of a new reality series called 4REAL. In 2009, CNN International profiled Kimmie’s life and work for a 30 minute African Voices series. Kimmie Weeks received his bachelors from Amherst College, his Masters from the University of Pennsylvania, and an Honorary Doctorate Degree from Amherst College. Dr. Weeks has served in the recent past as Director of Strategy for the 5th UN International Childrens Conference on Environment, Chairman of the Liberia Water & Sewer Corporation (LWSC), and Director of Logistics for Clinical RM. 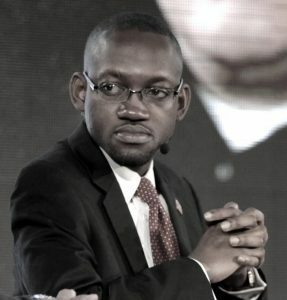 He currently serves as Executive Director of Youth Action International, Corporate Communications Strategist for Orange Liberia. In addition, Kimmie Weeks serves as a member of the World Economic Forum’s Global Agenda Council.